Vdara Hotel and Spa at City Center is about more than comfort; it is about transcendence. 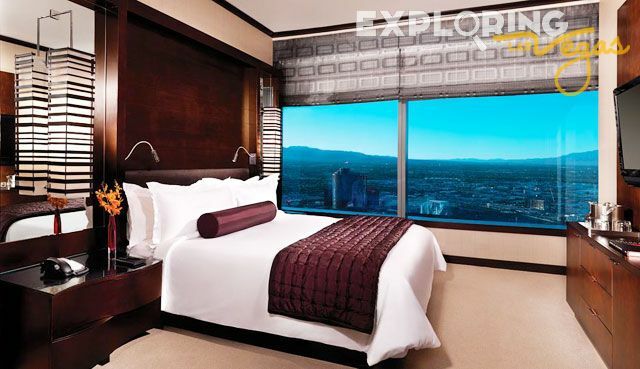 It is designed to deliver the excitement of Las Vegas in a non-gaming and nonsmoking environment. 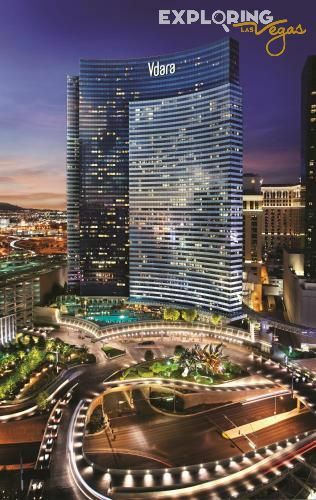 Carved between ARIA and the Bellagio, Vdara was architecturally designed to complement City Center's overall design while retaining qualities that differentiate it and set it apart. The suites and penthouses that make up the hotel were fashioned by top interior designers who sculpted a world of elegance and sophistication. There are myriad luxuries available in every room, from plush bedding to gourmet kitchens to stunning vistas. Naturally, guests won't spend all of their time in the suites, and the hotel offers a perfect place for guests to relax. The Sky Pool Lounge is an intimate, sun-drenched outdoor space so restful that guests' contentment eclipses any tensions they may have encountered before their arrival. More than being a sanctuary, Sky Pool and Lounge features spectacular DJs, cabanas with partially concealed plunge pools. The cocktails, tapas, and astounding views combine to create an entrancing experience. The spa at the hotel is no less entrancing and soothing. Vdara Health and Beauty is two whole stories of spa, salon, and fitness center space. In addition to luxurious locker rooms complete with saunas and steam rooms, guests can partake of the Champagne Bar. In keeping with Vdara's commitment to social and environmental responsibility, the services at the spa often have a holistic focus and the ingredients used in the treatments are derived from natural oils, fruits and vegetables, and healing herbs. Even the retailers whose products are sold at the spa share in Vdara's philosophy of being accountable to the environment. Health and wellness books and apparel can be found among the expected body care and cosmetic products. The salon at the hotel complements the spa's body treatments, massages and other services. Among the services it offers are professional hair styling, make-up, manicures and pedicures. For guests who don't want to give up on their cadio workout during their trip, the hotel offers a fitness center with exercise machines, free weights and personal entertainment centers. Even a work-out can be an escape at Vdara. 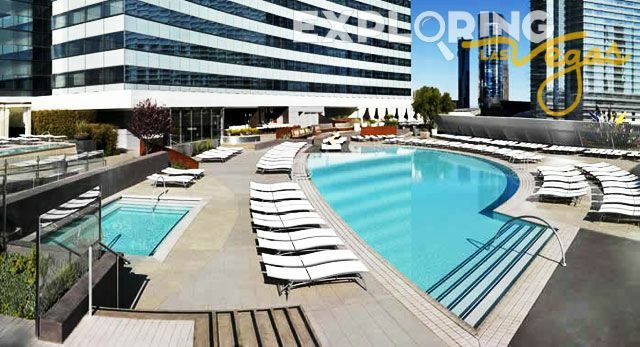 Restaurants, bar, pool & lounge, shopping center, concierge, valet, tram, art gallery, golf, tour desk, spa, meeting space. King-size bed, Luxurious linens, Living room with pullout queen-size sofa bed, High speed wired and wireless Internet access, Media hub for electronics, Cordless multi-line telephone(s), Refrigerator, Fully stocked mini-bar, Two-burner electric cook top, Microwave, Custom wood and glass dining table, 42 inch LCD TV, Laptop-size electronic safe, Frameless glass-enclosed walk-in shower with built-in seat, Large spa-style soaking tub, Backlit vanity mirrors. Vdara hotel is non gaming property. Bar Vdara, Silk Road Restaurant. Shopping At Crystals, Fine Art Collection.